Children’s cooking classes using child-friendly recipes such as those found in Silly Snacks is yet another way to encourage the love of books. The squirts and I “oohed” and “aahed” through the mess-friendly board book pages and decided on the Mud Hole Dunks on page 16. Needing prepared chocolate frosting, a staple in our pantry to help soothe Momma’s late-night cravings, and fresh fruit. Ding . . . ding . . . ding! 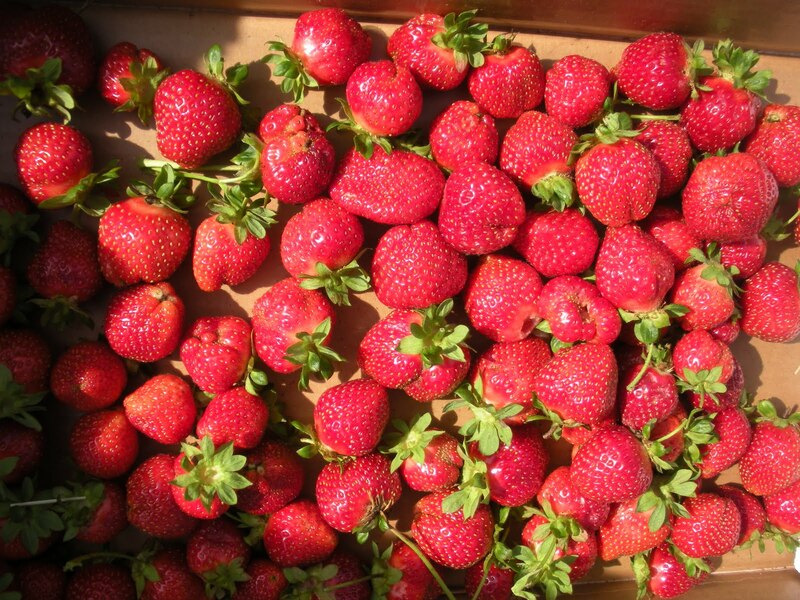 Strawberry season is here; let’s go picking to not only experience the cookbook, but also to learn the direct route of the strawberries from farm-to-table. Off we went to Eckert’s Farm. Loaded onto a trailer, we rode the roughly quarter mile to the fields and began picking. The girls ran to the end of the row, our designated starting point, with much enthusiasm, and picking ensued. 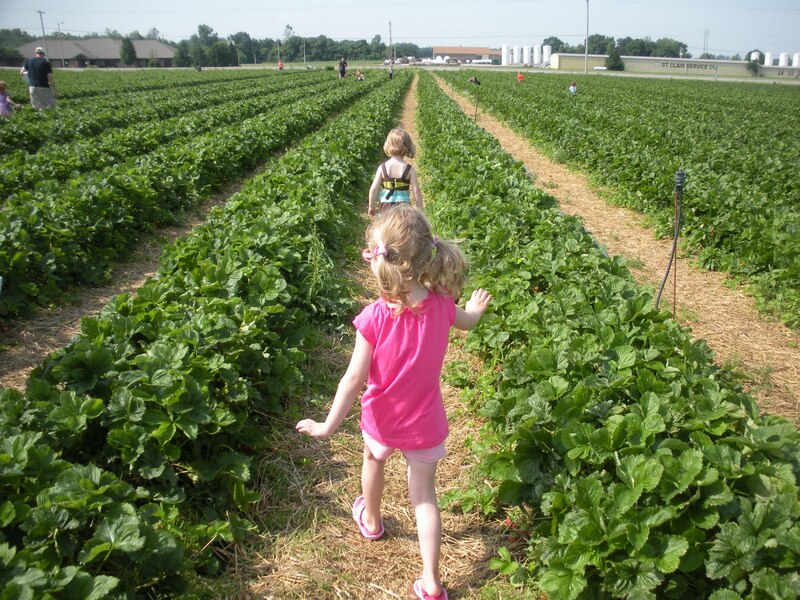 Although not playing on any loudspeaker system, I found myself humming The Beatles’ “Strawberry Fields Forever” as I chased them down the row (my first experience picking strawberries, too). Two flats or roughly ten pounds later, we loaded ourselves and our bounty back on the trailer so that we could head home and Mud Hole Dunk our ruby red prizes. Looks awesome!! Going to take the kiddos to do the same.